The Outjo Girls Cricket Team, who are the junior girls National T20 cricket league champions, hosted a successful training camp on Saturday in Outjo. A media release issued to Nampa on Monday said the training camp was hosted with the aim to prepare the girls for the upcoming women’s league later in February, and to get the players ready for the cricket activities of 2019. 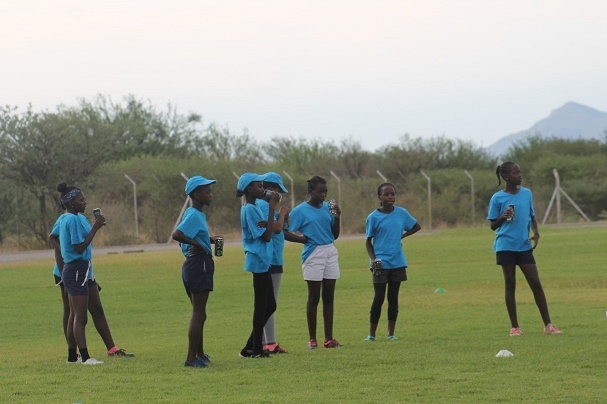 It further said over 25 girls attended the camp which was conducted by Cricket Namibia’s development officer, Wilhelm Tuhafeni, with the assistance of senior players, who also played in national teams previously. According to the statement, the camp focused on the high performance coaching on various cricket aspects such as batting, bowling, fielding and fitness, which is believed is very crucial especially at the level where they are now. The girls’ team was developed two years ago through the First National Bank of Namibia’s Kwata cricket program and currently has over 25 active and talented girls from various schools in Outjo. Ronelle Raes, the owner of the team’s official sponsor, Outjo Spar, said her business is proud to invest in the girls cricket team and that it was good to see the girls so passionate and commitment towards the sport and she will continue supporting the development of girls cricket in Outjo. Deon van Zyl from Sanlam Namibia also commented, saying he is impressed by the achievements of the top ranked team.